Ten athletes and a coach who went missing during the Commonwealth Games face deportation from Australia. "If they breach the conditions, they're subject to enforcement action," said Australia's home affairs minister Peter Dutton. Their visas expired at midnight on Tuesday in Sydney (15:00 BST). "Like anyone else, they're expected to operate within the law, and enforcement action will take place to identify those people and to deport them if they don't self-declare," added Dutton. 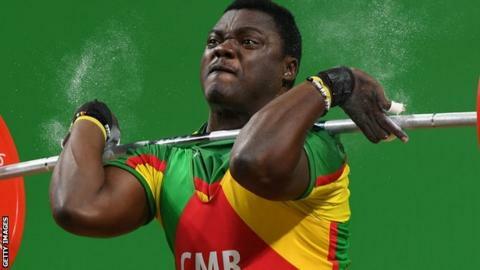 The eight Cameroon athletes - three weightlifters and five boxers - comprised a third of their 24-athlete delegation. Cameroon team officials confirmed they were last seen at different times on 9 April and 10 April. "Some have been to us for advice," Ben Lumsdaine, a solicitor at the Refugee Advice and Casework Service, told Sydney's Daily Telegraph. Australia's immigration authorities often grant temporary 'bridging' visas that allow in-country residency applicants to remain while their cases are assessed.